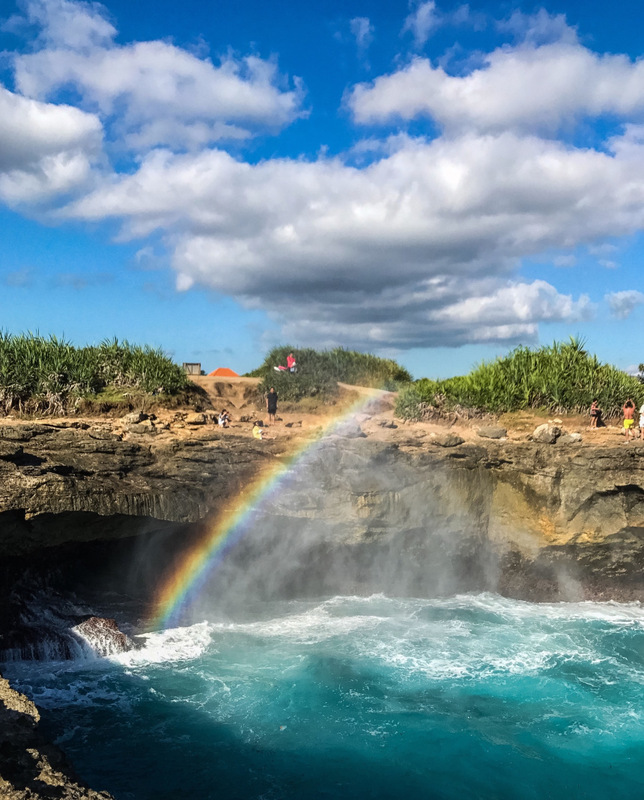 The beautiful island of Nusa Lembongan was once a simple, lazy haven for surfers, but it is quickly becoming a “must do” for anyone wanting to explore beyond the shores of Bali. 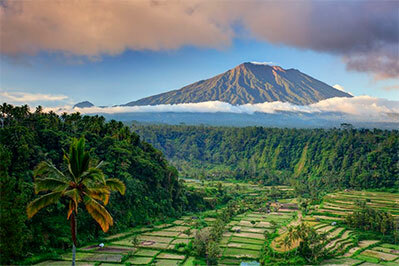 With pristine beaches, wildly vivid snorkeling and dive spots, picturesque topography and sights, watersports, chilled out bars and restaurants, you’ll see why Bali’s closest neighbor is becoming so popular, and yet still keeping its charm. 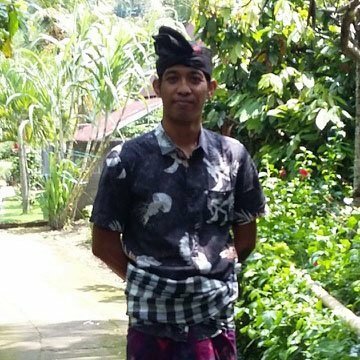 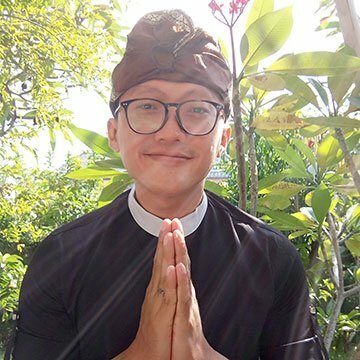 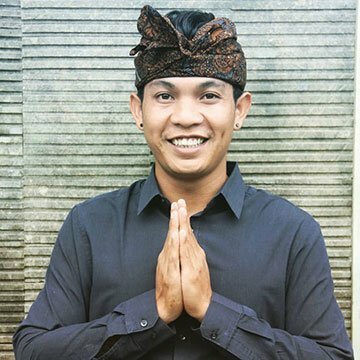 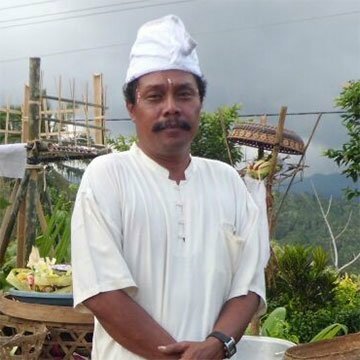 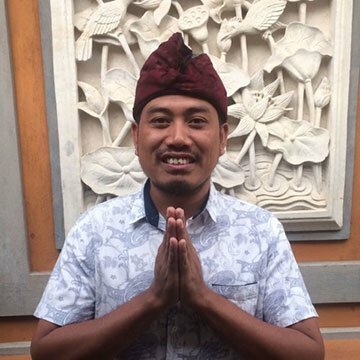 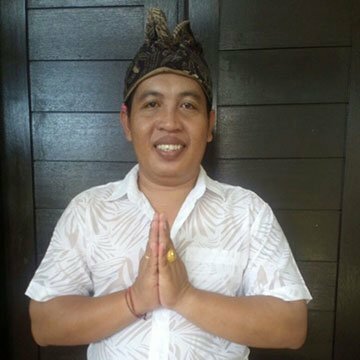 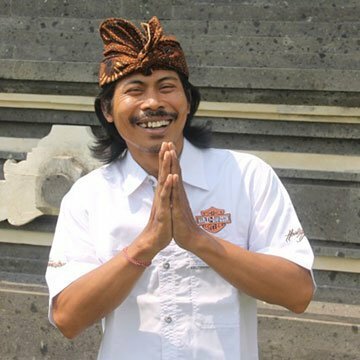 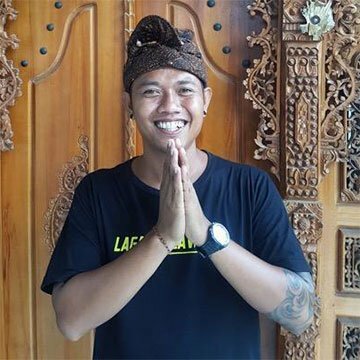 After transport from your hotel to Sanur, then to Lembongan, our guides will greet you for a day not soon-to-be forgotten. 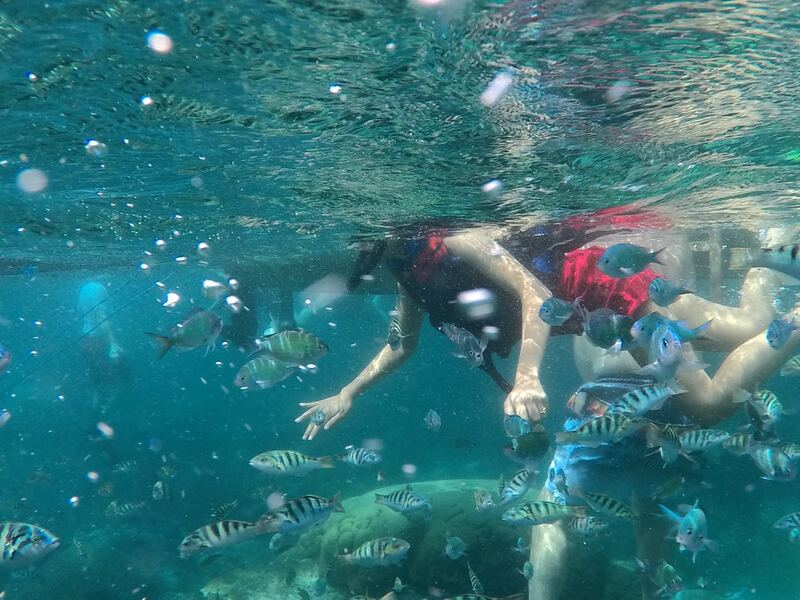 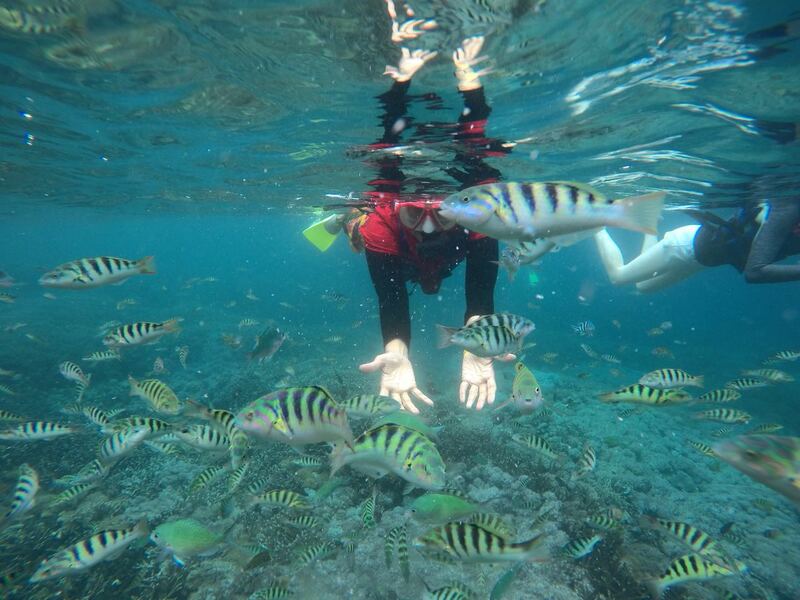 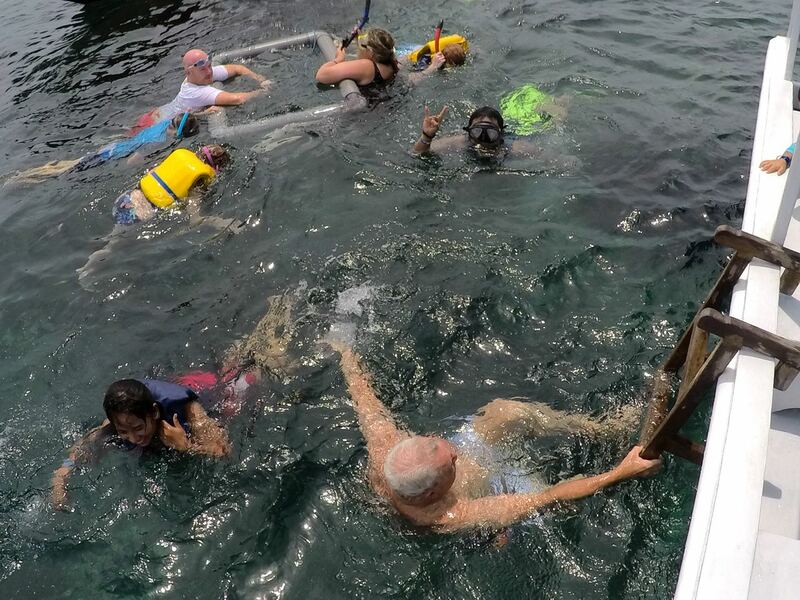 No trip to Lembongan is complete without snorkeling. 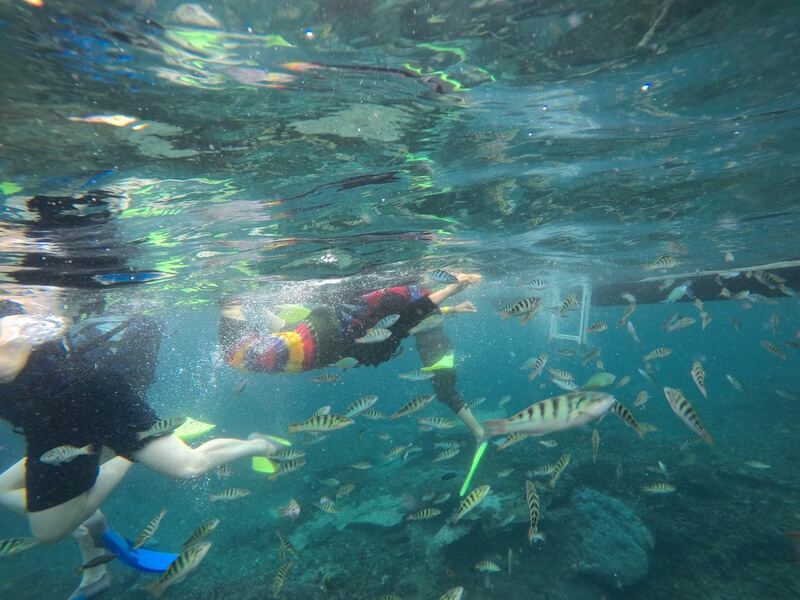 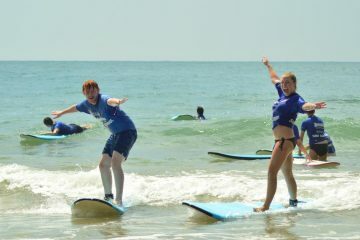 The coral reefs are untouched and colourful, and the waters are calm and crystal clear. 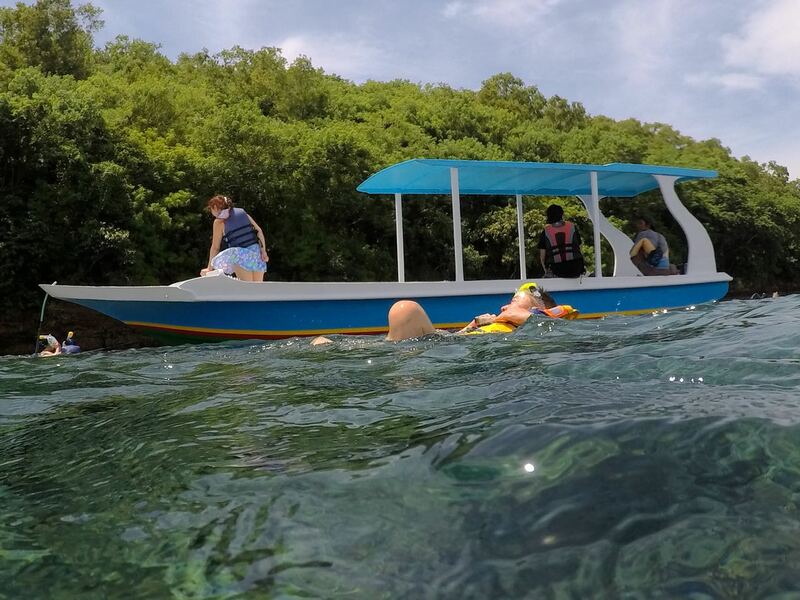 Our local guides will take you by boat out to see, to the best locations, such as Wall Toya Pakeh (coral wall of Nusa Penida), the Giant Trevally feeding spot, and the Mangrove Spot off the coast of Lembongan, where thousands tropical fish swim along shallow coral reefs. 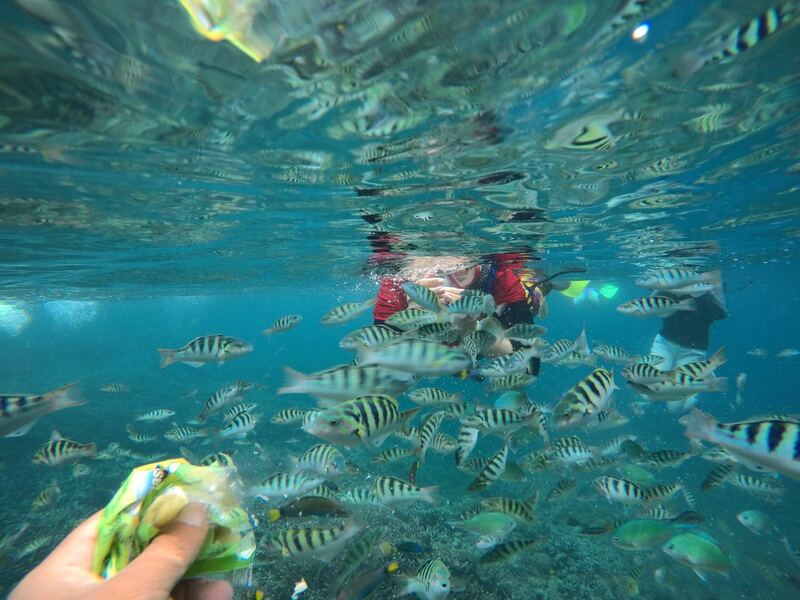 Take your underwater camera! 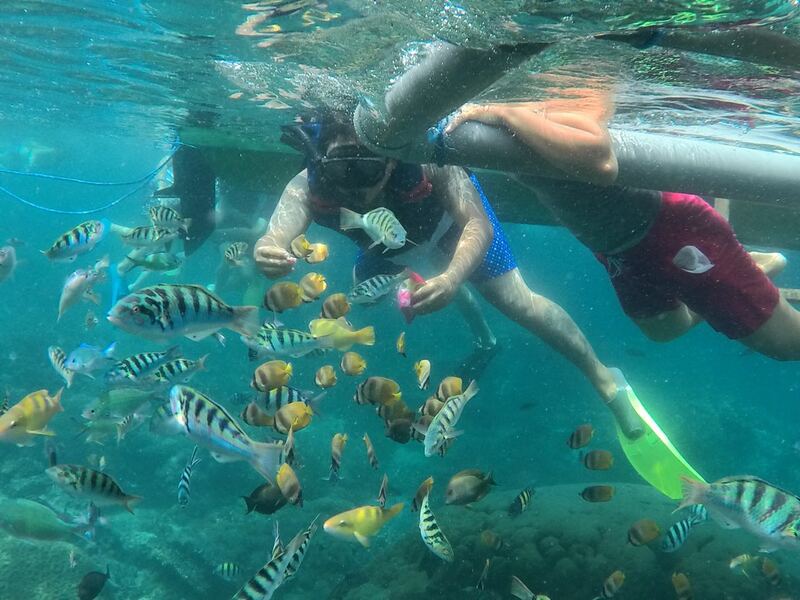 For those seeking more adventure, Nusa Lembongan is also a favorite spot for divers, and diving trips can also be arranged. 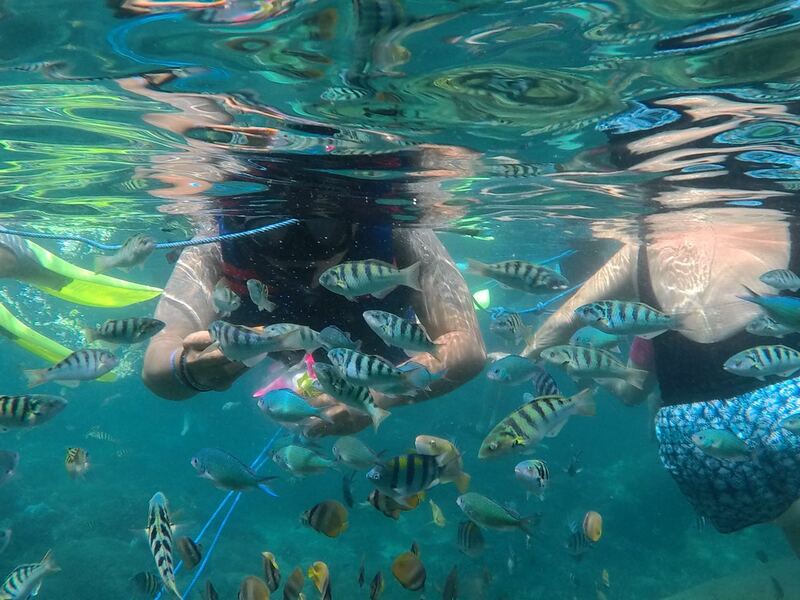 After a morning of snorkeling, enjoy a beachside lunch at a local warung, and followed by peaceful tour through the famed Mangroves. 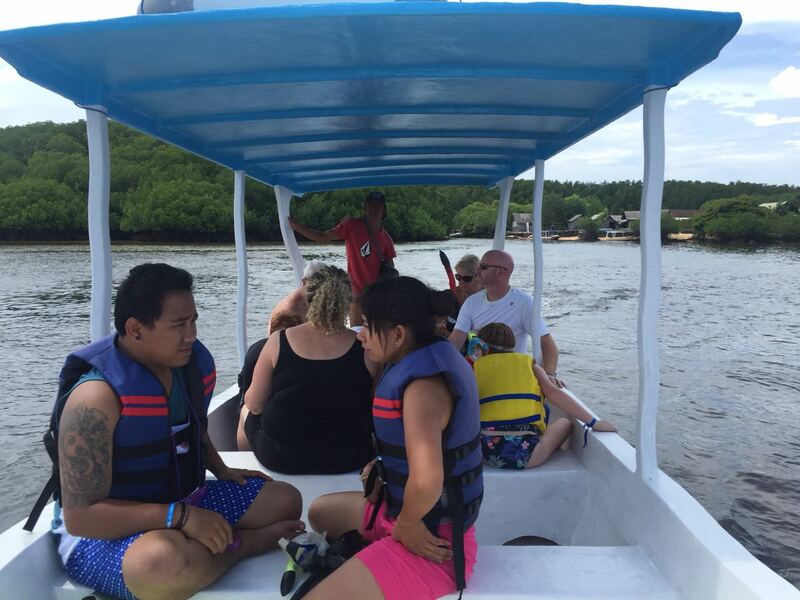 Float on a guided “sampan” (the traditional wooden boat) through the shady lagoons. 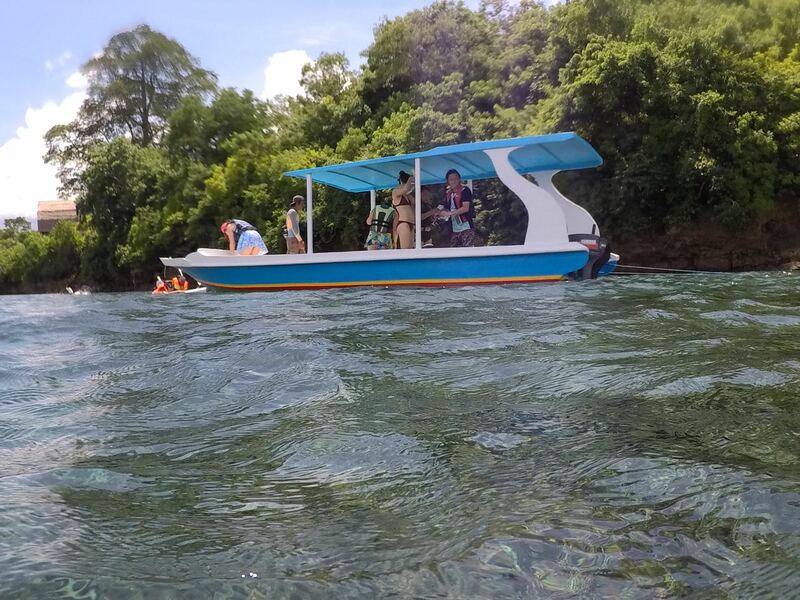 Afterwards, the transport will take you around, to the island’s top spots. 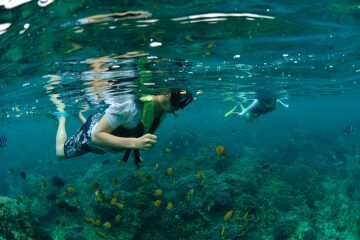 Not to be missed is Devil’s Tears. 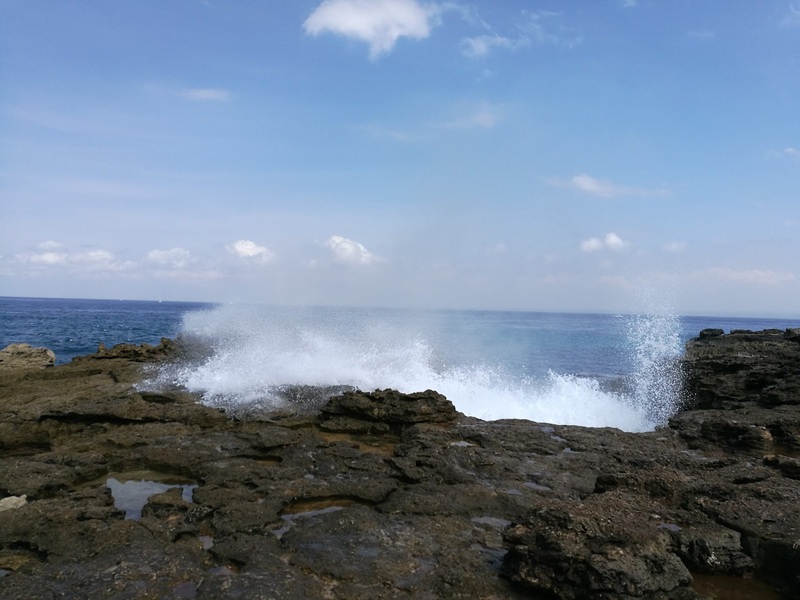 At this point, the natural phenomenon of the waves pulls the water out of the cove, then sends a larger wave crashing against the rocks, with a menacing “boom!” and a wall of “tears” flowing down the rocky cliff. 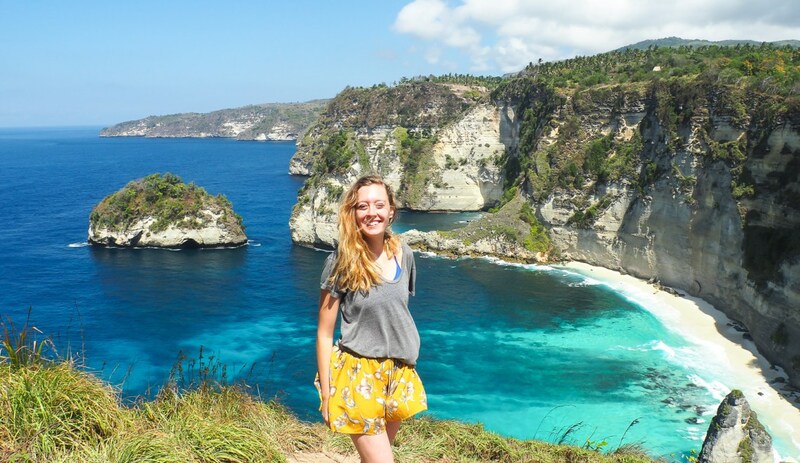 Don’t stand too close to the edge, or you’re sure to get soaked, and many tourists do with every strike. 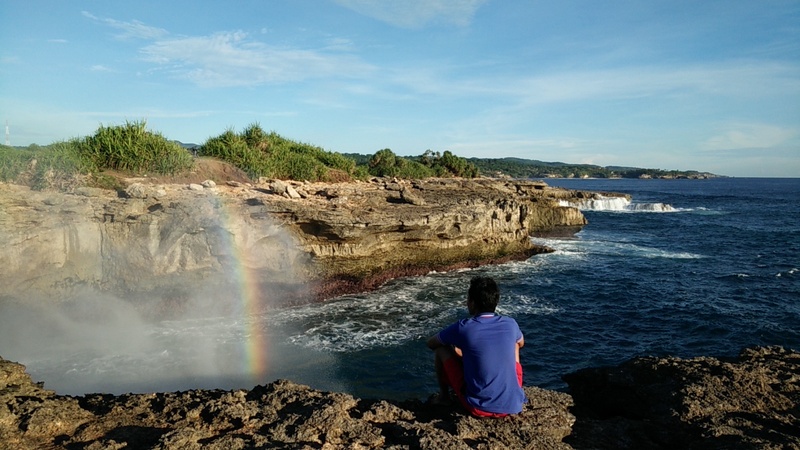 Though it is tempting get the perfect photo, with the rainbow on the ocean mist that often follows. 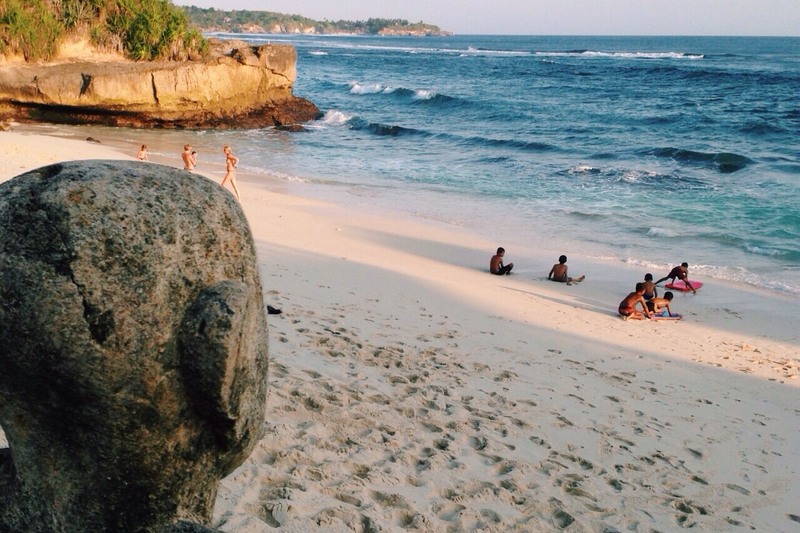 End the day at Dream Beach, which is Lembongan’s most popular stretch of sand. 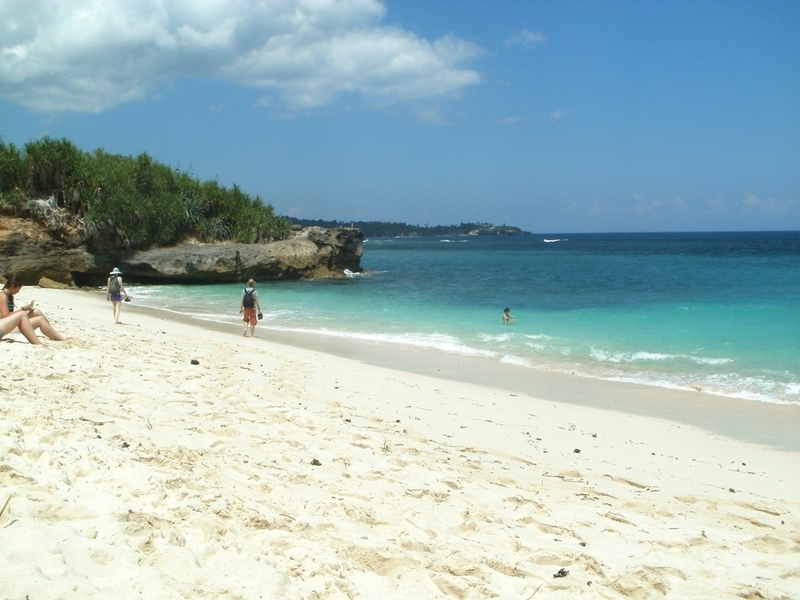 With white sand, turquoise waters, surrounded by greenery and cliffs, you’ll see why some spend the entire day here. 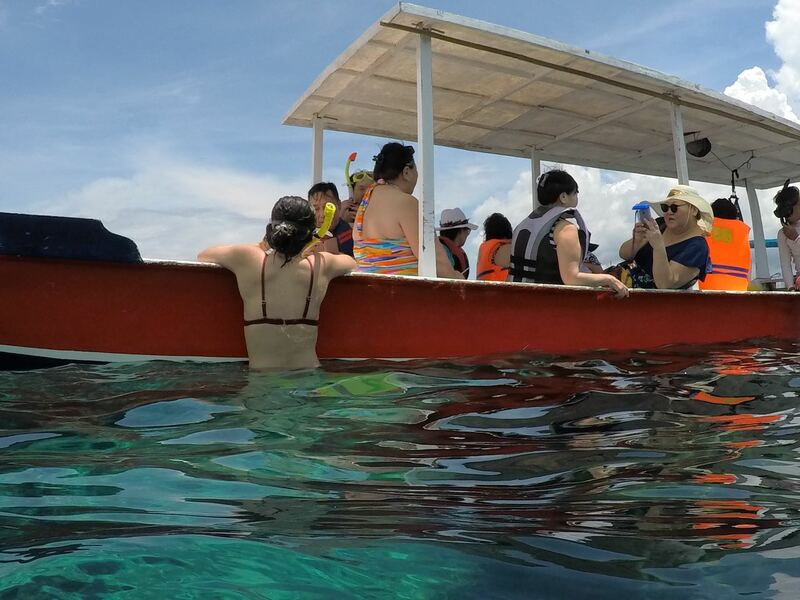 Relax on the sand, explore the cliffs and caves, or grab a margarita or Bintang at the bar above. 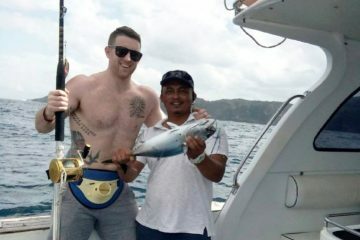 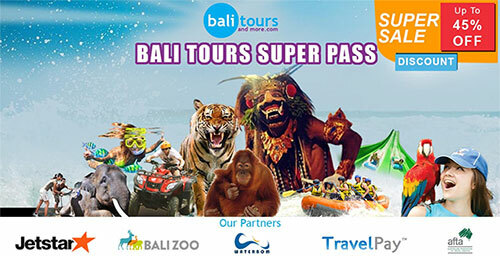 Enjoy this last stop, before heading back on transport and the fast boat departs to Bali.